Jabil Circuit Inc. (NYSE: JBL) is scheduled to release its fiscal first-quarter earnings after the closing bell on Monday, December 20, 2010. Analysts, on average, expect the company to report earnings of 55 cents per share on revenue of $3.96 billion. In the year ago period, the company posted earnings of 32 cents per share on revenue of $3.09 billion. Jabil Circuit, Inc., together with its subsidiaries, provides electronic manufacturing services and solutions in the Americas, Europe, and Asia. It offers electronics and mechanical design, production, product management, and after-market services to companies in the aerospace, automotive, computing, consumer, defense, industrial, instrumentation, medical, networking, peripherals, storage, and telecommunications industries. Jabil operates in three segments: Diversified Manufacturing Services (DMS), Enterprise & Infrastructure (E&I) and High Velocity Systems (HVS). In the preceding fiscal-fourth quarter, the St. Petersburg, Florida-based company's net income was $58.7 million, or 27 cents per share, compared to $5.5 million, or 3 cents per share, in the year-earlier quarter. On an adjusted basis, the company earned 52 cents per share n the latest quarter. Revenue surged 38% to $3.86 billion from $2.80 billion in the same quarter last year. Analysts, on average, expected the company to report earnings of 49 cents per share on revenue of $3.89 billion. At its last earnings call in September, the company said that it expects fiscal first quarter net revenue of $3.9 billion to $4.0 billion, GAAP earnings of 43 cents to 47 cents per share and core earnings of 53 cents to 57 cents per share. Jabil has benefited from new business wins from major original equipment manufacturers (OEMs) such as Cisco Systems Inc. (NASDAQ: CSCO), a recovery in end-market demand, new programs ramping up and resurgence in IT enterprise spending. 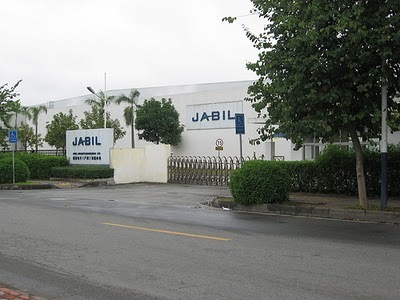 Jabil has also benefited from strong growth in the Mobility, Aerospace and Defense, Healthcare, Instrumentation and Industrial, and Networking and Storage segments over the long term. However, intense competition from Benchmark Electronics (NYSE: BHE), Flextronics International Ltd. (NASDAQ: FLEX) and Celestica Inc (NYSE: CLS) and a softer demand environment may continue to weigh on company's results. Again, Jabil’s fairly high level of debt may limit financial flexibility going forward. In terms of stock performance, JBL shares have gained nearly 17% over the past year.